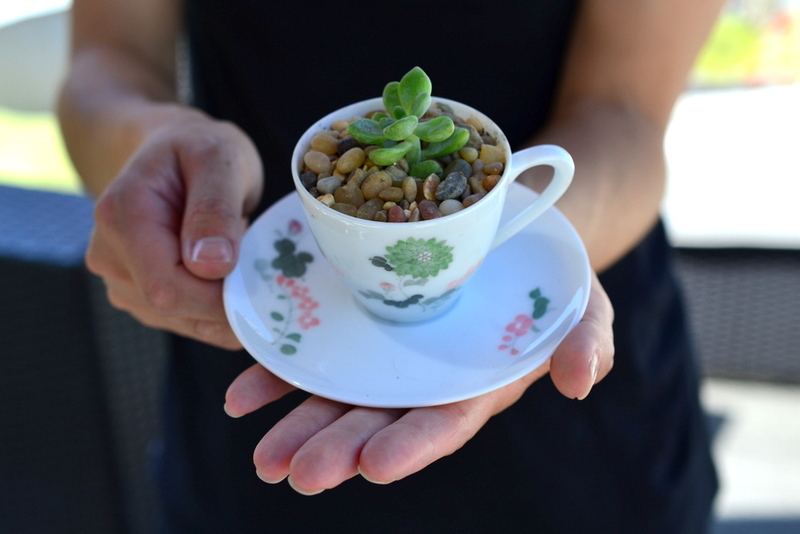 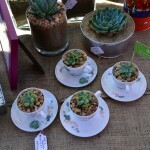 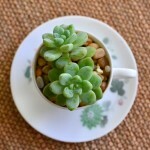 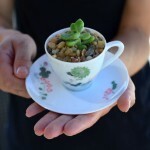 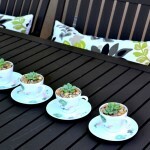 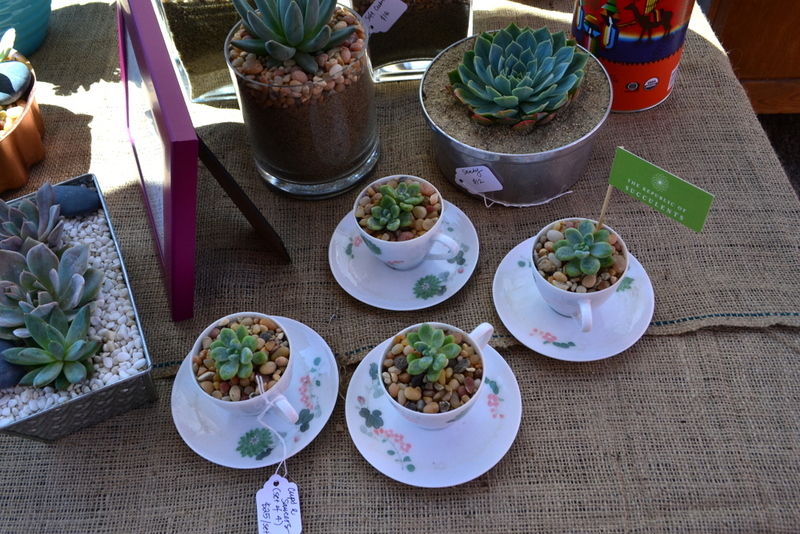 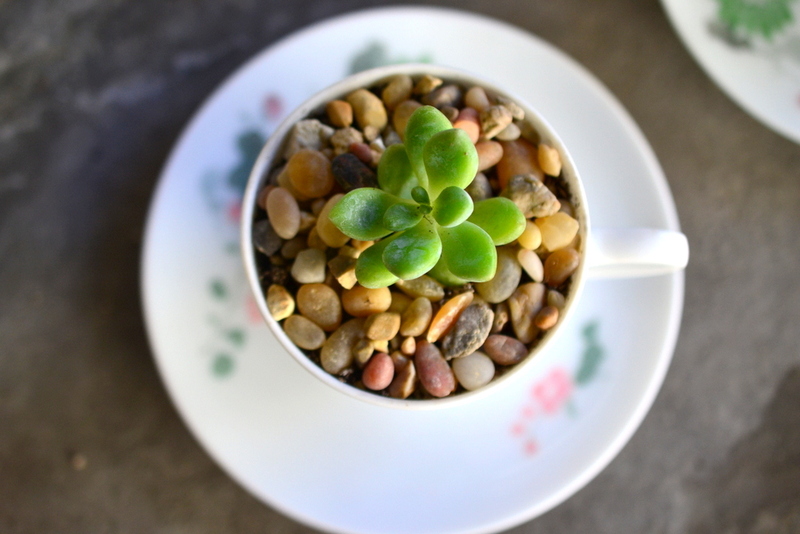 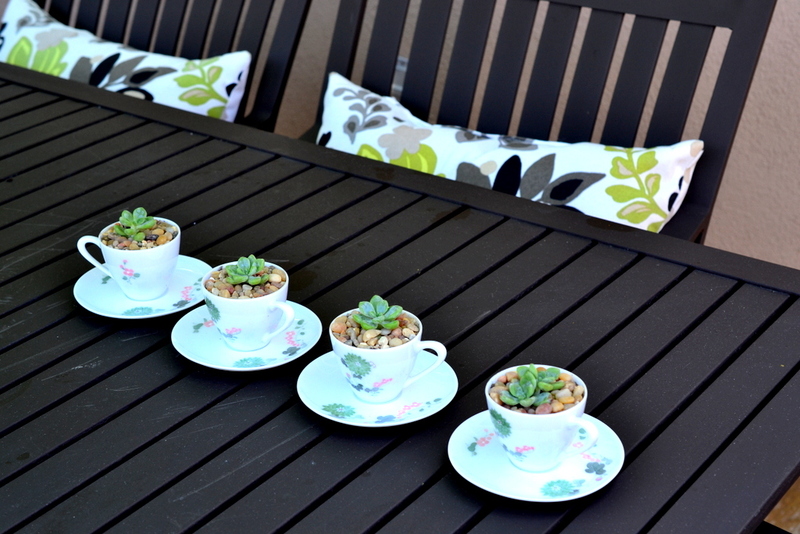 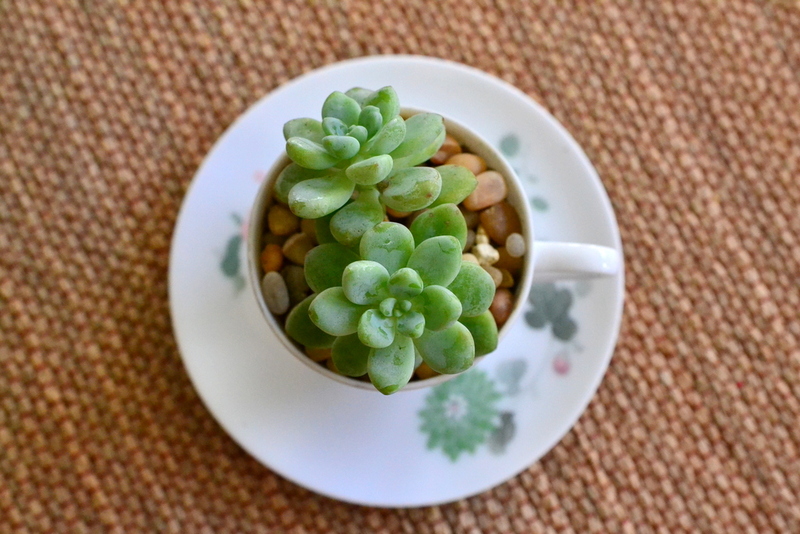 Small teacups with a small succulent plant, topped with earthy pebbles. 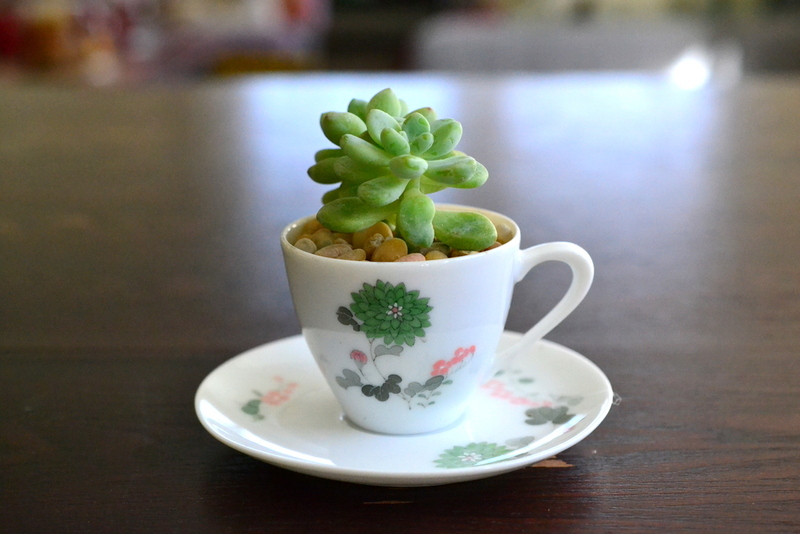 They are small and precious. 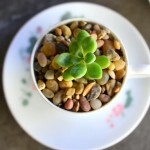 Perfect on a table top or as a party favor. 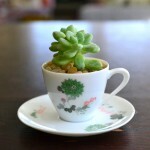 Cups & saucers thrifted from Out of the Closet.